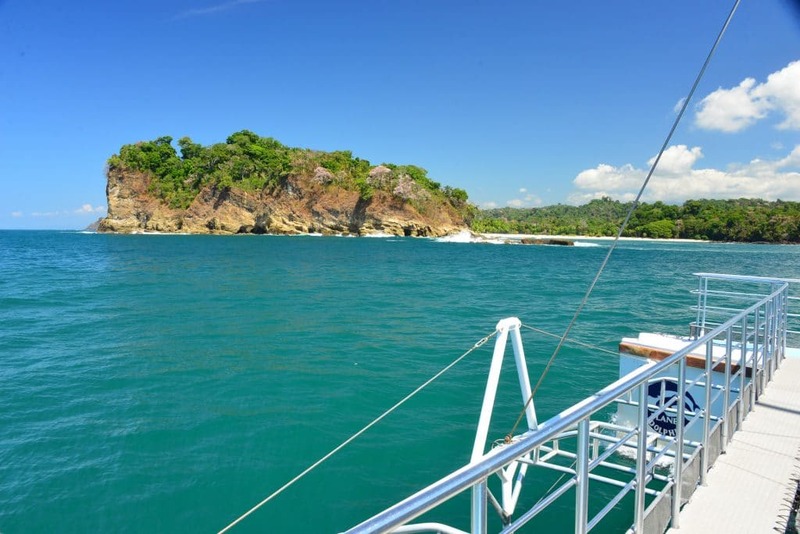 First we pick you up from your Hotel , Villa or House to take you on a short ride to Manuel Antonio area where we set sail on our Catamaran Sailboat looking for dolphins, whales and sea turtles. Cruising past the majestic Islands home to many marine species of migratory birds and white sand beaches of the National Park. After touring the coastline we will anchor in a protected area, the pristine Biezans Bay for a snorkeling adventure in the warm Pacific waters. 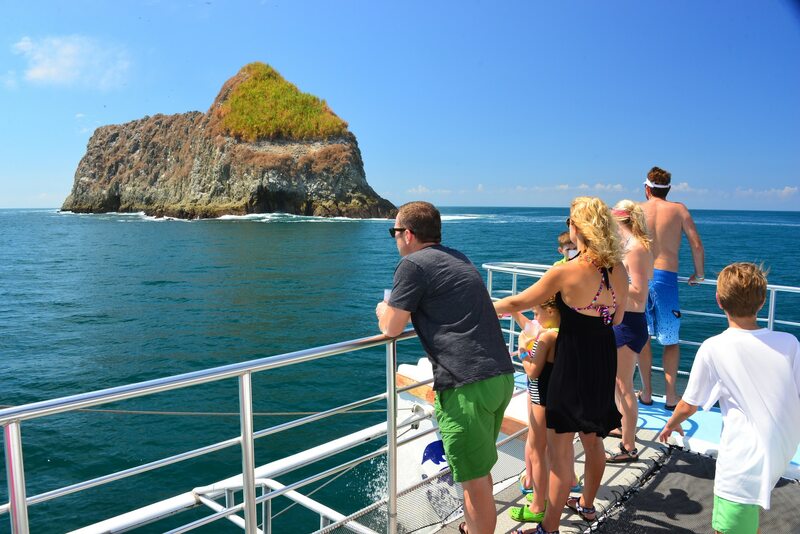 We provide the masks, snorkels and fins, everything you need to dive and observe the underwater playground for numerous species of colorful tropical fish. Afterwards come back on board and enjoy the delicious lunch we have prepared for you: grilled fresh fish brochettes with onions and green peppers, pasta salad with mixed vegetables, homemade pesto sauce, fresh tropical fruit, homemade flan, our famous Costa Rican coffee, cocktails and natural fruit drinks. 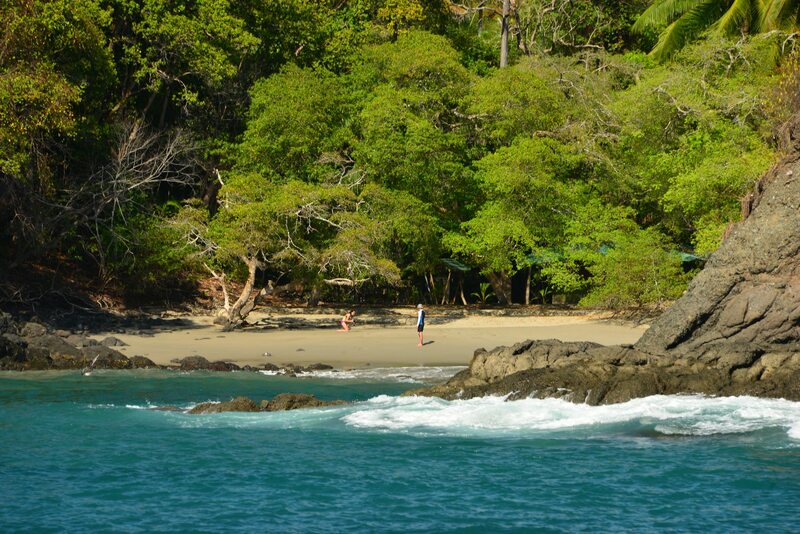 You will discover the true meaning of the word PARADISE as you relax and enjoy the PURA VIDA in this beautiful bay surrounded by the lush green landscape and the soothing sounds of the ocean. 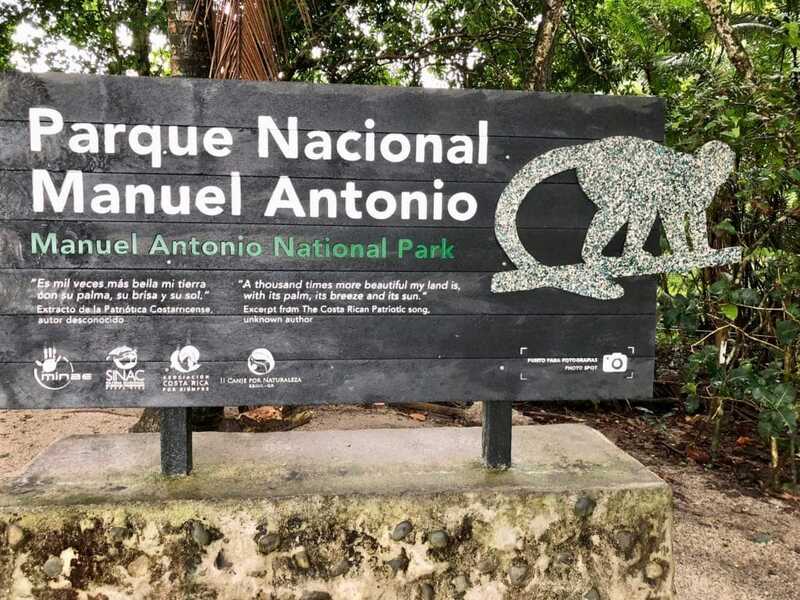 After lunch and playing in the water, we go back to the Marina, get in our van and head to Manuel Antonio for an easy hike inside the National Park with a professional naturalist guide, where we have a chance to see monkeys, sloths, iguanas, raccoons, and a wide variety of tropical birds. There is also time to play at the beach. 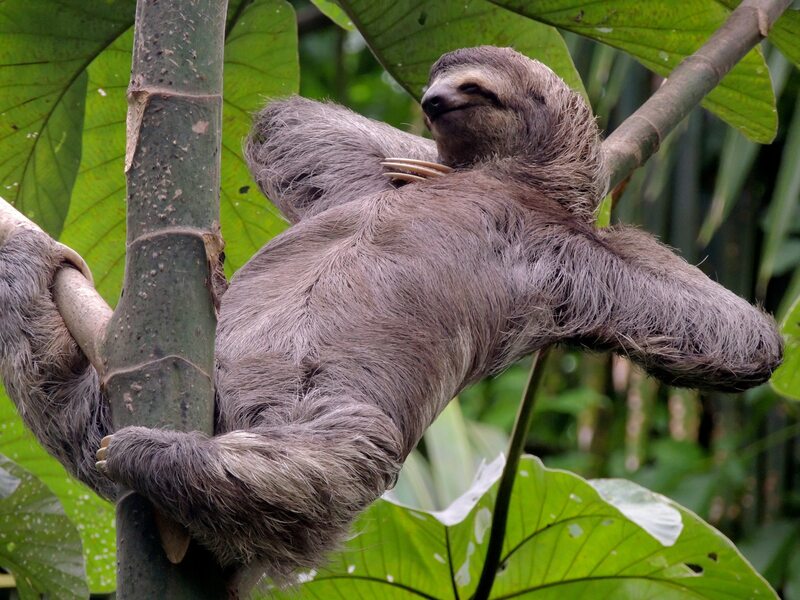 Comfortable shoes for easy hike in National Park. 2 hours in the National Park with fruits & water. 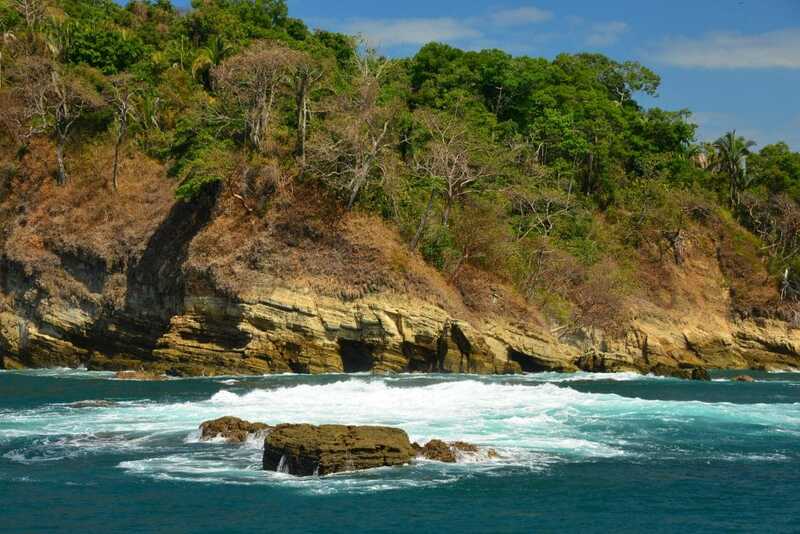 From May to October catamaran tour in the morning & National Park in the afternoon, from November to April National Park hike in the morning (9:00 am), after the hike, you will be taken to lunch for a typical Costa Rican “casado”, finishing the lunch we’ll drive you to the Marina to board the catamaran and set sail at 2:00 p.m. (in the afternoon catamaran tour we provide food at 4:30 p.m., so we call it a “late lunch” or “Early dinner”). 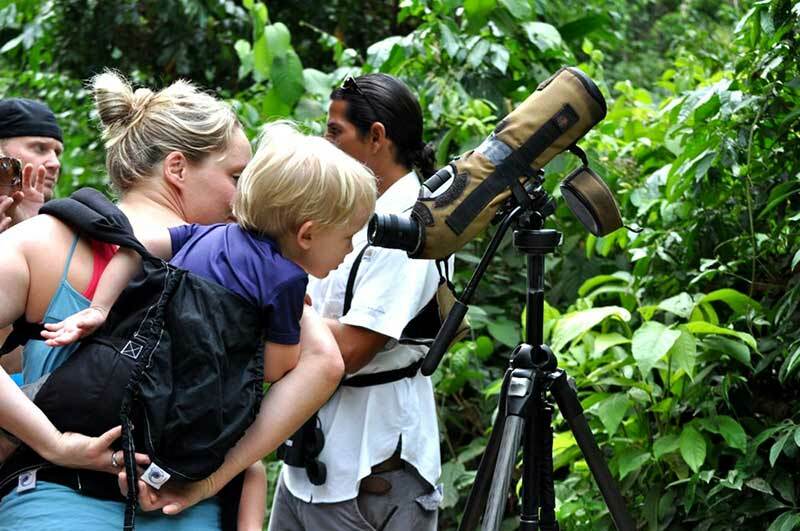 We are located at Manuel Antonio National Park, Costa Rica on the magnificant Pacific coast. 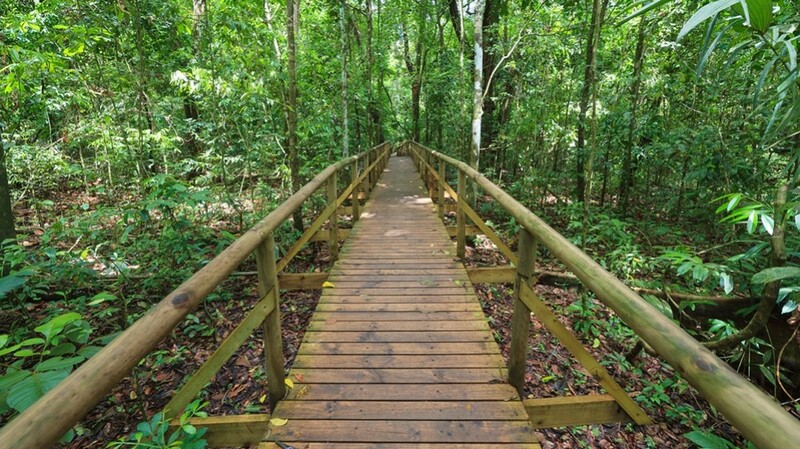 Find directions and see our map to get to Manuel Antonio and find our office.